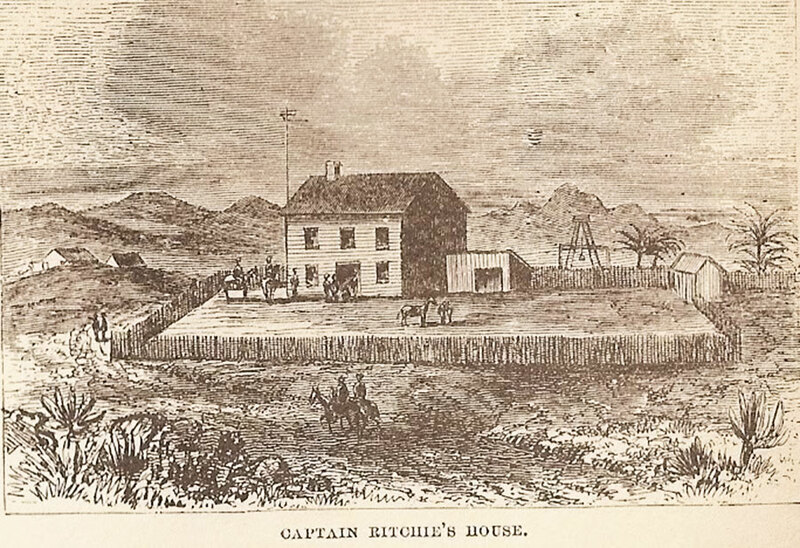 Drawing of Captain Ritchie´s house in Cabo San Lucas. Captain Ritchie´s house in Cabo San Lucas is a hearth to adventurers of all parts of the world. Admirals, commodores, captains, common sailors and pirates all took refuge there. 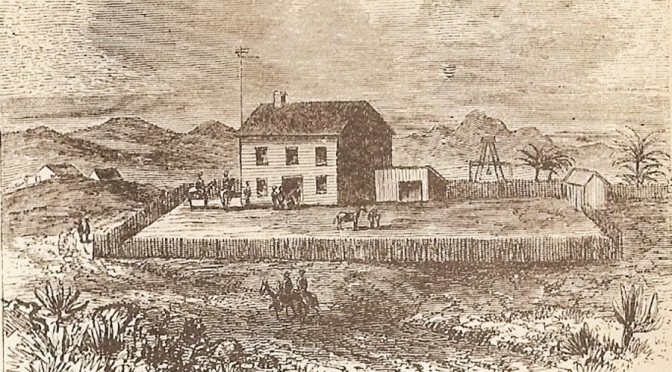 Miners, merchants and cattleman all made use of the house. In a word, the door was open to all. All that have money can pay; to those who do not he gives food and drink for their companionship from his generous heart. No traveler went away from his door without rest and support. Since the opening of the mines San Antonio and Triumph, Captain Ritchie has done a good business bringing passengers and cargo to the mines. 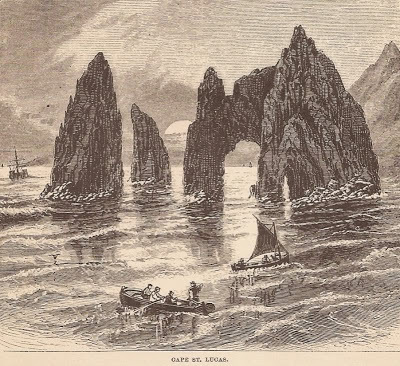 Whalers find it advisable to arrive at the house with fresh beef so that there is always enough meat for all. Source: “Mazatlán Decimonónico” by Antonio Lerma Garay.